UPSC ESE Result 2019 - Union Public Service Commission (UPSC) has released UPSC ESE result 2019 for prelims exam on February 28, 2019. UPSC ESE 2019 result has been released in pdf format. Candidates can check their result by downloading the pdf form and checking their roll number in it. The preliminary UPSC ESE 2019 exam was conducted on January 6. 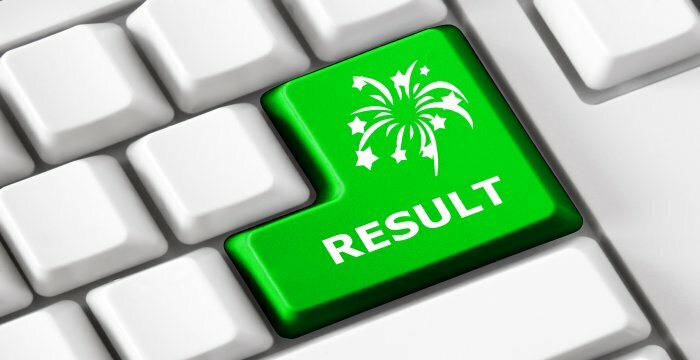 UPSC ESE 2019 result pdf has roll numbers of qualified candidates. Candidates who have qualified in the preliminary of UPSC ESE 2019 exam are shortlisted for the mains examination. Around 4075 candidates have been selected for mains exam which includes 1825 candidates for Civil Engineering, 801 for Mechanical Engineering, 765 for Electrical and Telecommunication and 684 for Electrical Engineering. The mains exam of UPSC ESE is scheduled to be conducted on June 30, 2019. UPSC ESE result 2019 for mains exam will be declared in August 2019. On the basis of mains exam candidates will be selected for personality test. Shortlisted candidates in the personality test will be appointed to various posts. The appointment will be done on the basis of UPSC ESE 2019 result where the commission will prepare the final list. To prepare the final list, total marks obtained candidates in preliminary and mains exam will be added together and all India merit list will be prepared. Read below the details about on how to check UPSC ESE result 2019 dates etc. How to download UPSC ESE Result 2019? Candidates can download the result OF UPSC ESE from the official website at - http://www.upsc.gov.in/. The steps to download UPSC ESE result 2019 is given below. Step 2 – A new page appears on the screen, click on UPSC ESE result 2019 pdf file to download it. Step 3 – Search your roll number from the downloaded pdf. The result of UPSC ESE prelims exam has been released on February 28, 2019. UPSC ESE result 2019 is calculated out of 500 marks including the marks of paper 1 and 2. Candidates who qualify the preliminary exam are shortlisted to appear for the mains examination. Marks secured by candidates in the preliminary exam are added in the final result. However, candidates will have to obtain minimum qualifying marks in both prelims and mains exam. Candidates who are shortlisted on the basis of prelims exam are eligible to appear for the mains exam. UPSC ESE mains exam consists of two conventional type papers in Engineering Discipline specific with a duration of three hours and maximum marks of 600 (300 marks in each paper). Candidates qualifying the mains exam as per the commission will be called for the personality test. UPSC ESE mains exam will be conducted on June 30, 2019. The personality test is conducted for 200 marks for only those candidates who qualify for the mains exam. There will be no qualifying marks for this stage. The shortlisting of candidates will be done twice the number of vacancies for the personality test by UPSC. The final result of UPSC ESE will be declared in November 2019. UPSC ESE result 2019 for final selection will be prepared on the basis of candidate’s performance in the preliminary exam, mains exam and the personality test. The allotted of various services is done keeping the view of candidates’ rank in the examination and preferred posts /services. UPSC will also release the list of finally selected candidates along with the marks obtained by then in mains, prelims, personality test and final score. UPSC ESE scorecard 2019 will have the name, roll number of the candidates along with the marks as per their category. The scorecard will be available after the final result. Candidates can check the marking scheme of UPSC ESE 2019 below. For each wrong answer, one-third (0.33) of the marks will be deducted as penalty. In prelims, exam candidates score 2 marks for each correct answer. The prelims exam carries 500 marks while mains exam is conducted for 600 marks and Personality Test carries 200 marks. The Total marks of UPSC ESE exam is 500 +600+200 = 1300. The cut off of UPSC ESE will be released after the declaration of final result. Candidates will able to check the cut for preliminary, mains and personality test. The cut off of UPSC ESE will be fixed by UPSC. The appearing candidates will have to minimum qualifying marks in each paper category wise as well as overall cut off to be eligible to appear for next round of selection. Candidates can check previous years cut off of UPSC ESE below.